The point of the poll was to include here the technology used to access the forums. For a while I thought of expanding the list with for example e-book readers, because these too sometimes have internet access, but I guess there are enough options already. Discussion about e-book readers is is still welcome. And about printed books (obvious hardware). For some people, wristwatch is the kind of technology they need most. All this is hardware subject for discussion in this thread. And of course computer parts. That's a pretty sad desk. Yes. 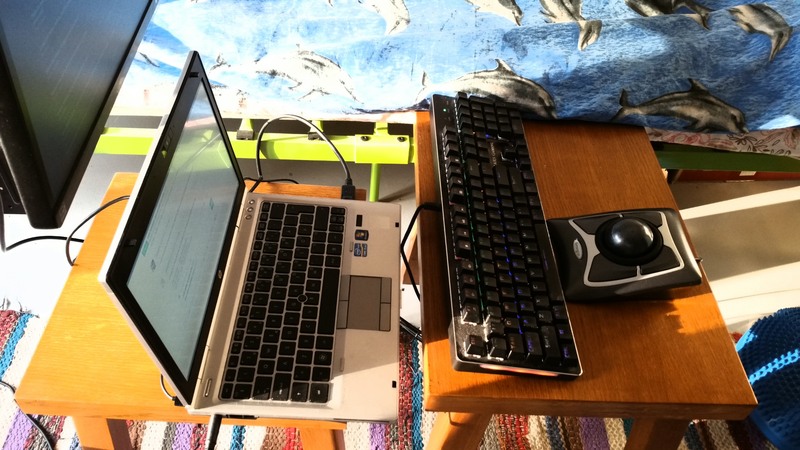 After much experimenting with various configurations of desks and chairs, I arrived at this solution: I sit on the floor (on a cushion) and I place the keyboard and trackball on a small bench/stool in front of me. Another pretty good solution would be to sit at the shorter end of a wide and long desk, provided that the shorter end is not walled in. Desks require much space and I don't have much space. That sounds pretty good to me actually. Well, for just computer use anyway. I've greatly extended my desk space since '09 without actually changing my desk. First through my monitor arm, then a while later by making a keyboard/trackball tray. My desk is almost entirely available for unruly documents and books. Which is nice, because when I had less desk space it wasn't so much more organized as even worse because stuff was forgotten at the bottom. Then later we got three cats and now half my desk is cat hangout space, but that aside. There's a program called ddrescueview that can apparently tell you how your media is doing. So much for me nostalgically connecting my DVD player to serve as a CD player yesterday... I guess I ought to rip all of them. Now the DVDs... those are just a loss in the long run I guess. That'd take way too much time and space. On Chromebooks, they've semi-replaced Caps Lock by a Search key. Oh right. Google. Search. Meh. And it would be great if in Android you could configure (a hardware keyboard's) Caps Lock out of the way. By the way, a few days ago some guy said Google cannot search anymore and now another said Google cannot innovate. Google's founders have separated themselves to a holding company a good while ago. I agree that Google's not good at search results anymore but I don't think it sounds particularly plausible that they stopped indexing the "old" web. You can easily repeat the experiment using any "old" blog post. I tried one I wrote myself, entitled, in embarrassingly broken English: "observating people in the train." Quant also returns only my blog post as a properly relevant search result. Yippy returns my blog post as the third result, nothing else is relevant. Bing either can't find anything or completely ignores my quotation marks. Yandex returns nothing. Which is more honest than the typical Bing/Google style of showing some nonsense no matter what. Anyway, I have no hard data but this is my basic experience over the last five years. Google isn't too bad but it puts too much bs in the way of things. Thinking it knows what you mean better than you, displaying nonsense when there are no relevant results, etc. Admittedly my blog is probably not "old" because it's still active. But this n=1 experiment still supports my general impressions from the last half decade. Google is an okay search engine when you are looking for something you don't remember properly. It tends to turn up results *something like* your search string. When you need to find things with precision, Google is less good. Google's business is guessing what people do *next* and what they *really* might think, as opposed to what they just typed. This reflects on the behaviour of the search engine. All this is exacerbated by the language problem. Google assumes the language (either English or your location) and starts guessing based on that, but I may have a whole different language in mind - because maybe I work for a company in another country or I could be a translator. Google's websites were okay as long as typing the locale part (.de or .se or such) also was a quick way of setting the desired language, but this has ceased to be the case and now I'm looking for alternatives and avoiding Google. This reminds me of the Gopher protocol that I had some contact with in early 90's. The library search system was Gopher. The digital library cards were Gopher pages and the search was inbuilt in the protocol as far as I understood. When searching, Gopher displayed all the currently active pages in the network, because search was inbuilt in the protocol. So, no web crawling, no storing and indexing of the crawler results to be fed to people who search. But in our modern WWW internet, a search engine is an intermediary, a business that is all the more profitable when it's skewed the "right" way. And of course it's skewed in accordance with the one who pays most. Speaking of Google being an ad company (regardless whether we're speaking search or YouTube), are DuckDuckGo's ads US-centric or something? I see an ad there only every once in a blue moon. Then again, I just realized that if I explicitly search for buyable products (e.g., mouse or trackball) it looks like it gives directly integrated Amazon results. I guess I just don't normally search for very marketable stuff and Google responds by altering my search or search results in such a way that it ends up marketing things as much as possible. 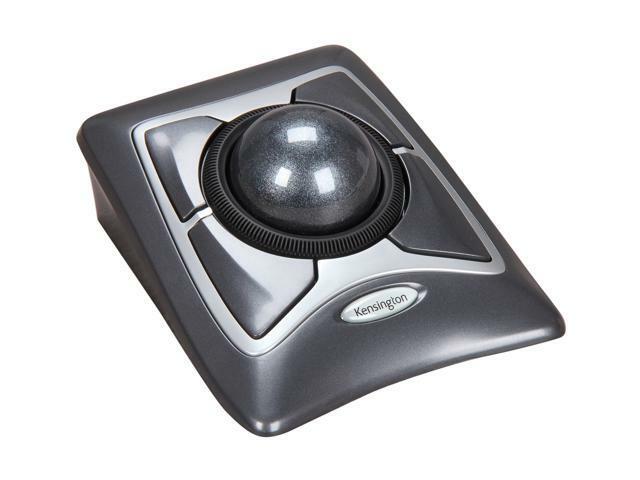 Just in case, I acquired the trackball called Kensington Expert Mouse, hoping it might be about as good as Kensington Trackball with Scroll Ring or even better, because it (the former) has more buttons. It turns out that precisely the greater number of buttons is a problem. The greater number of the buttons increases the desire to remap the functions and remapping is a hastle. The greater number of the buttons also increases the strain on the memory of where each function is and how to position the hand to find them. 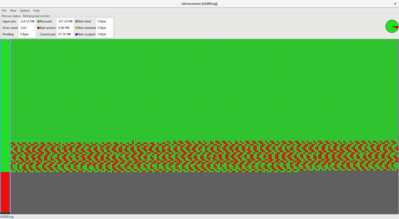 Due to this, the Expert Mouse model cannot be out of sight the way my Scroll Ring model can. Both models have a scroll ring, but the scroll ring of the Scroll Ring model definitely feels sturdier, more reliable and generally a better tool for the job of a scroll ring. Already on the first day I doubt the scroll ring of the Expert Mouse model can survive half as long as that of my Scroll Ring model has. Whereas I am quite sure my Scroll Ring model and its scroll ring will keep delivering in the future at least as long as they already have. There is a hole under the ball of the Scroll Ring model, allowing the dirt to fall through. There will be more dirt maintenance with the Expert Mouse model. The design of the entire body of the Expert Mouse model is flawed. I mean the idea that the entire device should be ascending the further away it is from you is wrong. I would prefer the device to be horizontally flat and as low as possible. Granted, due to the huge ball the device cannot be too low, but it surely should not be ascending the further away it is from you. Trackball should ideally be able to serve as handrest, but an ascending surface puts tension in the wrist. I tried the Expert Mouse model for a while the other way around, with the high end towards me, and it felt much better on the same level as the keyboard, but it would take too much configuring to remap the buttons and the ball to make it work. In comparison, the Scroll Ring model has a better overall design because it is able to serve as a handrest. At the desk where I put the Expert Mouse model, I have an option to place it on the lower level than the keyboard or a higher level. On the lower level it would be out of direct sight, making it hard to find the buttons groping in the dark. And the higher level might be too high. We'll see. Anyway, I will try to keep it. I like the original placement of the functions on the Expert Mouse model: the lower buttons do left-click and right-click. The upper left does mid-click and the upper right turns back (in browsers, but not in file managers). The Kensington Expert Mouse is a very flawed device, but also possibly the best there is. I disagree. It actually results in a very natural finger placement. You rest the pinky and thumb on the lower buttons, leaving your fingers the top of the ball and the top buttons, which would be hard to reach if they weren't raised. I also think a scroll button is great. It's much more elegant than traditional scroll wheels (or scroll rings). At work I had a Logitech mouse that scrolled more like this. It offered higher precision and much smoother control, albeit only vertically. When it's flawed, then what makes it the best? I find no flaws with the Trackball with Scroll Ring. Particularly the scroll ring is perfect, solid, and seemingly unbreakable, spinning almost freely. And I can rest my hand over the device without accidentally pressing or moving things, and then with minimal movement press things again as I want. And by "rest my hand" I mean of course that my hand is hanging downwards from the wrist. The only way to rest my hand the same way on the Expert Mouse is to have the wrist on the ball, and the hand hanging thus to the other side of the entire device, so that the buttons, particularly the lower buttons, are completely outside reach. On the Scroll Ring model, the wrist would rest most naturally just before the ball and before the scroll ring, leaving the buttons etc. within immediate reach when needed. The "uphill" versus "hump" body plan makes a decisive difference. Whether the scrollring works is fairly immaterial because the scroll button is a vastly superior scrolling method. Unfortunately it's made even more superior by the lack of smoothness in the scrollring itself. Whether the ring will cease functioning or not depends on the electronics involved in the specific model. Otherwise it'll keep on going not being smooth for many years. Setting aside the crappy infrared electronics behind the scrollring on some iterations of the Expert Mouse, the scrollring is nevertheless one of the best traditional scrolling methods there is. It may be deeply flawed, but entirely compared to its unrealized potential. It's still vastly better than virtually all the horrible (read: standard) scrollwheels on the market. I also own an Elecom Huge. That one has a rather good traditional scrollwheel, as does my wife's Logitech MX Ergo. Compared to the Expert Mouse scrollring, it's worse. Even with the excellent scrollwheels on some modern Logitech mice it's tough to say which is better, in spite of sheer technical excellence of better, smoother modern scrollwheels. Make an actually smooth scrollring, ideally one that doesn't scroll in the traditional multiple lines but with more precision like a modern Logitech scrollwheel (or the scroll button), and you've got yourself an absolute winner. The lack of a hole at the bottom is a missed opportunity, but it was normal when the current design was first released in the mid-2000s. It doesn't make as much of a difference as you might think at first though, since cleaning is less about the sensor than about the build-up of goo on the roller balls. The only real difference is that you blow it out when you clean it, which you don't have to do on the other design. Also, the fact that its DPI is not only locked, but at a rather low value to boot is an automatic additional flaw in the modern era. Those are the areas in which it is flawed. The fact that a different device uses superior parts doesn't negate the fact that the design is rock solid. NB I'd sing a very different tune if the switches for the buttons or the actual ball weren't good. The device certainly isn't flawed where it truly matters. Of course if you can't find a way to use the design properly (but you do have to experiment with a few different hand positions) then it's a flawed device to its core. To me, that's what the Elecom Huge is. Very nice in principle. Many parts are technically better than on the Expert Mouse, if only because they're contemporary to the late 2010s instead of the mid 2000s. In that sense it's less flawed than the Expert Mouse. But the design is just terrible. Is this Elecom Huge? https://www.youtube.com/watch?v=EeoEphQah_w For me, one of the main points of getting a trackball was to find something ambidextrous, or for both hands simultaneously. Trackball Scroll Ring's scroll ring is near-free, pretty smooth, a definite winner compared to the Expert Mouse's scroll ring. I find my hand position on the Expert Mouse much more comfortable when the device is the other way around, the high end towards me, but unfortunately it cannot be used this way. That's another missed opportunity in this device. And yes, I agree that the DPI should be configurable. The DPI of common mouses usually is, so there is no reason why trackballs should be locked. Edit: the DPI should be configurable in addition to the trackball orientation. The trackball orientation should be configurable so that the user could place the device to any angle and still have the trackball gestures be harmonised with the screen. The pointer thing is optional, but the Elecom Huge for example also has a "keyboard". Not that rotation matters for that, I suppose. And of course I need to make it left-handed too in that case. This is my bedside setup now. It's been like this for a few years, but earlier with the Scroll Ring Trackball. For me it is very important to have the trackball somewhere on the same general line with the keyboard, in front of it or above it or below it, instead of to the left or right from it. Your Rotation Angle tip made it work well. Thanks! Page created in 0.045 seconds with 44 queries.